A number of Dunnes Stores workers will give a briefing on their upcoming strike to all members of the Oireachtas in Leinster House today (Tuesday, March 24, 2015) at 4pm. 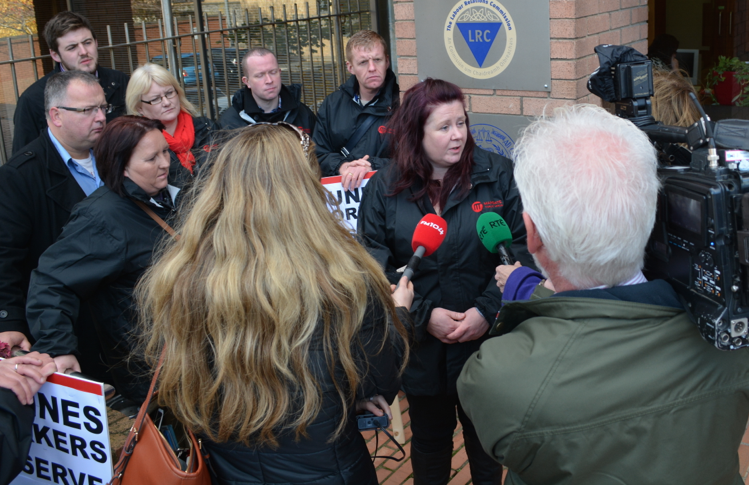 The workers’ union, Mandate, will give a comprehensive briefing on what will be one of the largest private sector strikes in two decades, due to take place on Holy Thursday, 2nd April 2015. Dunnes Stores employs 10,000 workers in 113 stores across the Republic of Ireland with Mandate Trade Union representing more than 55 percent of the workforce in 109 stores. Gerry Light, Mandate Assistant General Secretary, said: “Dunnes workers will be telling TD’s and Senators directly about the real issues affecting them and their colleagues. “Working on low-hour flexible contracts has so many negative implications on workers. We hope all public representatives will give support to the Dunnes workers who have been left with no alternative but to take industrial action after their employer refuses to engage directly with the workers’ union or with the state’s industrial relations mechanisms, the Labour Relations Commission (LRC) and the Labour Court,” he said.